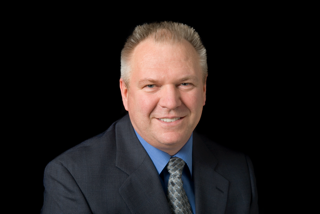 Dr. Gary Imm is an entrepreneur and operates a private dental practice in Westminster, Maryland. The team as evolved over the past 30 years and ranks in top 3% of North American practices in several categories providing implants, sedation, orthodontics, headache resolution and biologic dentistry. His core values of continual learning and committing to best have made him a "CE junkie". Contrary to the typical dental or medical office, Dr. Imm and his team have no patients...they only have guests. They embrace the mindset that the experience a guest has and the clinical outcome both deserve excellence. This passion has lead him to create and Grow GuestWise℠, a team training process that takes 3 minutes a day to create world class guest experiences. It is fun and meaningful for the team at little to no cost to the practice. Teams using the system find guests can't wait to come back, thus increasing their profits and the culture of the office as they focus on relationships instead of selling. Dr. Imm believes that the real power of knowledge is the use of it, therefore he has committed himself to couching and facilitating the success of others. He taught for many years at the University of Maryland Dental School and for the last 15 years he has coached other businesses to success by using personalized WOW service with the expectancy of success...mixed with some fun!